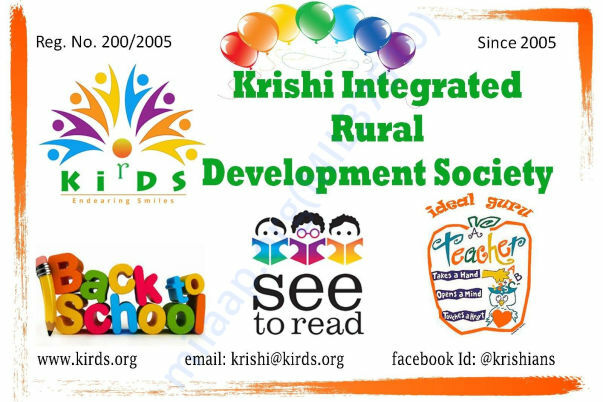 Krishi NGO has been serving underprivileged children and rural masses since 2005. We are group of friends from rural background envisioned to make a difference, when we started our first job at Hyderabad. 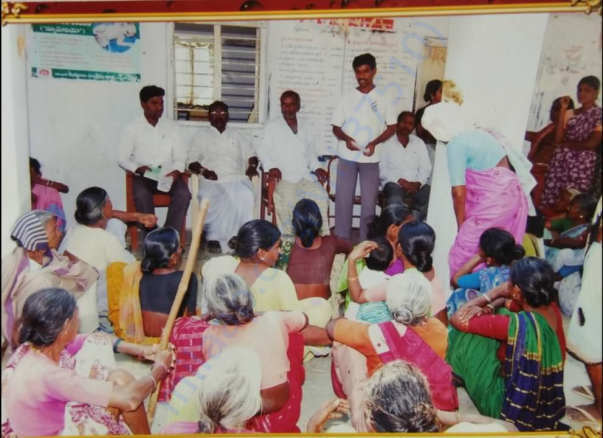 Since then we have organized series of programs and reached out to thousands of rural children, women, youth and senior citizens. 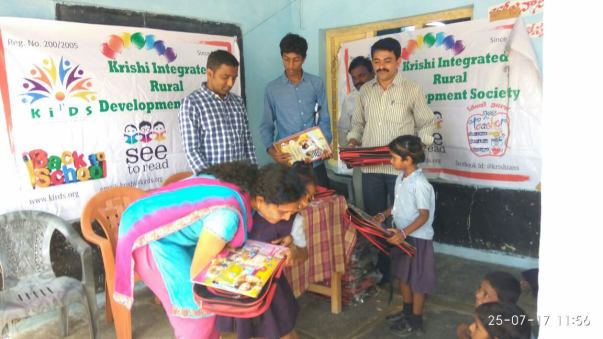 This new academic year, we are re-launching our BACK2SCHOOL Programs across the rural and tribal villages in Telangana and AP States. 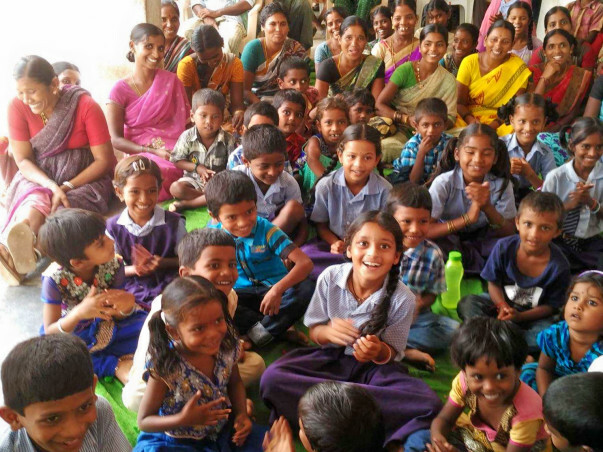 The objective of the program is to ensure no child should be dropped out from these remotest villages. Our volunteers carry out door-to-door survey and counsel the parents, who might have dropped out their children because of their poverty conditions or otherwise to assist their sibling babies at home, while they go to their labour works. We supply school kits with note books, stationary items, exam pads, water bottles, and school bags as a kit. Which will be help us convince them as gift of coming back to school. We identify remotest villages where the average parental income levels less than $5 (Rs.300) a day. 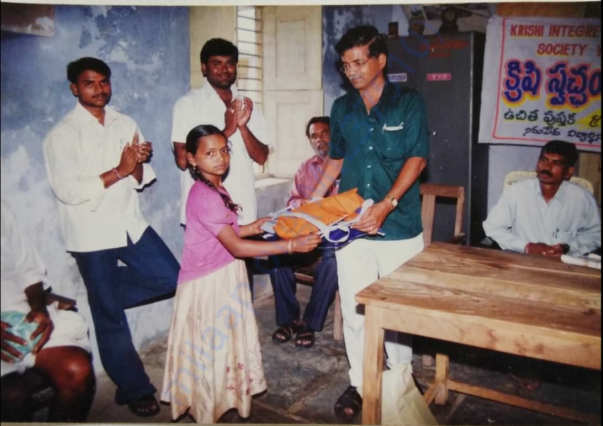 Hence we also supply the school kits to all the children in the selected villages to avoid creating envy among the innocent children. Approximate cost of each school kit is around Rs.500/- or USD 8, hence we are looking for donors to own these smiles as many as you can. There is no satisfaction bigger than seeing smiles of poor children with our small contributions. 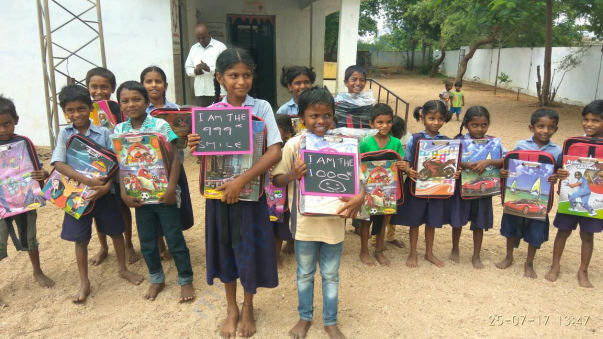 Help us accomplish Mission 1000 Smiles for this academic year 2018-19. We are just a platform to deliver noble intents of #Krishians (donors) with re-defined service commitments. IdealGURU Program: Successfully organised 12th anniversary event of Krishi nonprofit organisation - Also given awards to 12 outstanding teachers as a recognition of their outstanding service to rural schools, encouraged them to carry the commitment and dedication. Anitha Gadwal Madam was also one of the IdealGuru awardees during this event last year. https://youtu.be/xBrsfjE_Jfo | https://youtu.be/G1OnYczINxg It was a great moment for all volunteers to get the appreciations from Sekhar Kammula Garu, Kodanda Ram Sir and other prominent leaders. This program is a tribute to our guru late Acharya Sri. 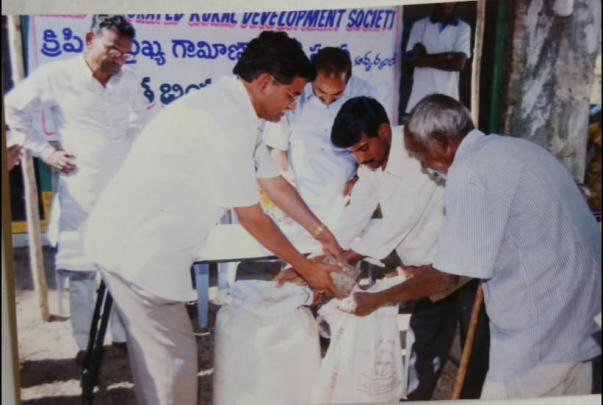 Jangili Laxmaiah Garu. We are looking for friends, donors and sponsors to identify the commitment and passion we carried over last 13 years, and support our programs within your capacity. We understand that everyone may not be able to support immediately, if they feel genuine about our work, kindly share the fund-raising campaign in your circles. It may help us raise / reach our fund raising goal.